Heather Senechiame said her mother, Sally Shaw, whose body was found on a road in Washington County, was devoted to her family and doted on her seven grandchildren. Heather Senechiame saw her mother for the last time in May. Sally Shaw had made the trip from Maine to Massachusetts, where Senechiame lives, on a whim. “She decided to just come down and spring a surprise visit on us, which is how she usually liked to do it, to just surprise us with her smiles, laughter and happiness,” Senechiame said via email Friday. On July 19, Senechiame got a telephone call alerting her that a woman matching her mother’s description had been found dead on the side of the road in Cherryfield, a small community in western Washington County best known for its blueberry barrens. Shaw’s abandoned rental car was discovered about 11 miles away with front end damage, at the intersection of Route 193 and Route 9. It was clear the vehicle, rented in Bangor, had been in an accident, but police have not said whether the accident was connected to Shaw’s death. Two days later, police called to tell Senechiame that her 55-year-old mother had been positively identified and that she had been slain. They didn’t tell her how. “From there it just became what happened? Who did this? Why? Every emotion you can possibly imagine started going through (my mind) and my brothers’ minds,” she said. A week after Shaw’s body was found, police arrested two people in New York – Carine Reeves, 37, and Quaneysha Greeley, 19 – and charged them with her murder. Both have refused to waive their extradition rights and are being held without bail in Queens County. Although the arrests provided Senechiame and her family some measure of comfort that her mother’s alleged killers are behind bars, she said they still have been provided few details about the circumstances. Senechiame said she doesn’t know Reeves or Greeley and doesn’t know if her mother knew them. “All I really know is that the detectives were working day and night to try to bring justice to my mother and that is what really matters to me,” she said. The only hints that Shaw may have known the suspects came from Facebook: Shaw was friends with Greeley on the social media site, as well as with a woman identified in posts as Greeley’s mother, Melissa Greeley. Attempts to reach Melissa Greeley were not successful Friday. Maine State Police, the agency that investigates most homicides in Maine, has not provided any information about how Shaw died or about a possible motive. Typically, an arrest affidavit that outlines probable cause for arrest is filed in the local court of jurisdiction, in this case Washington County Superior Court in Machias. That document remained sealed as of Friday, which is not unusual. Affidavits are often sealed pending an initial court appearance and that hasn’t happened because Reeves and Greeley are still in New York. 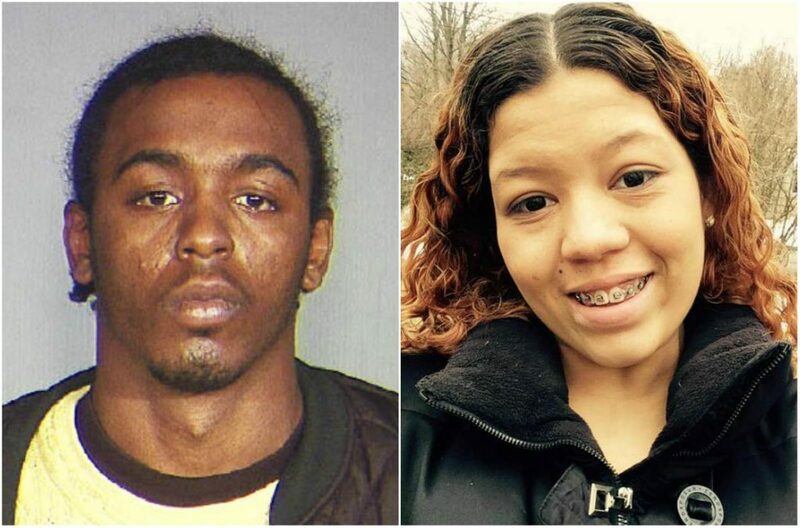 Police have said that Quaneysha Greeley, and possibly Reeves, were living in Lewiston but it wasn’t clear for how long. On Facebook, Quaneysha Greeley indicates that she attended Lewiston High. Reeves faces separate assault charges stemming from an incident in the Ozone Park section of Queens in February. He is accused of slashing a 36-year-old female acquaintance in the face from an ear to a nostril, requiring 16 to 20 stitches. He is not likely to be returned to Maine until that case is resolved. Police have said Shaw may have had ties to the Down East area of Washington County, although Senechiame said she was not aware of any. Shaw worked off and on in the home health care field or at nursing homes much of her career, most of which was spent in Gray and New Gloucester, where she went to school. She wasn’t married but doted on her children and grandchildren. Senechiame said her mother’s death has shaken her family. She said she couldn’t even talk on the phone about it because she couldn’t stop crying. Shaw is survived by her three children – Senechiame and her brothers, Eric Wing and Brian Wing – and seven grandchildren. “I want people to remember Sally Shaw as a very sassy, feisty, loving individual,” her daughter said. “She had the utmost respect for everybody. She was the type of person that even if she was down to her last quarter she would give it to you and go without anything. You need something she would be the first person to offer. A burial and celebration of Shaw’s life will be held in New Gloucester on Aug. 12.